This Heinz advertisement featured the Gillilands of Fremont, Ohio, Life magazine, March 6, 1944. D.V. 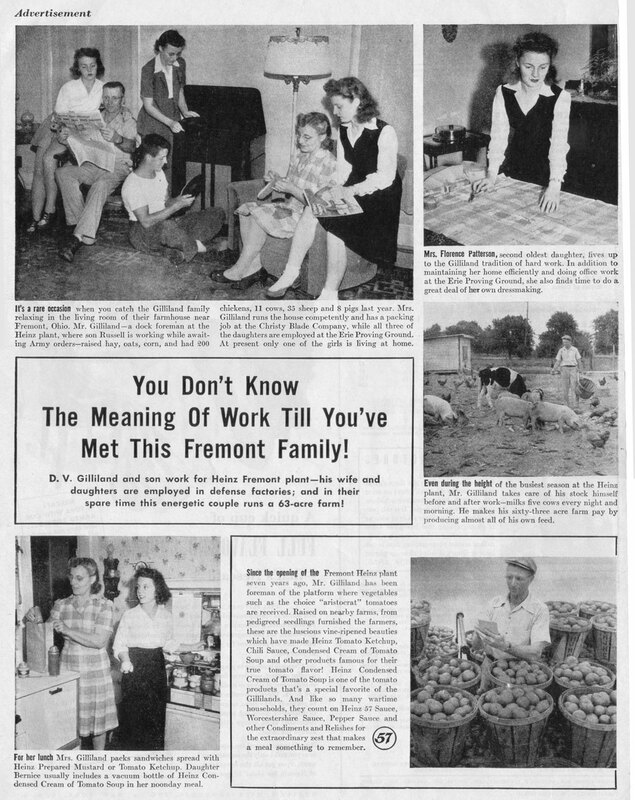 Gilliland worked as a foreman at the Fremont Heinz plant.